A crazy VPN Lifetime deal (just $40 for life), the highest capacity portable battery we’ve ever sold (also just $40), a new comprehensive Learn to Code Bundle, and our favorite drone is back! With VPN Unlimited, your traffic is completely safe from prying eyes. Plus, you don’t have to worry about compromising on bandwidth or speed; the service gives you easy access to its high-speed servers around the globe, from your mobile devices or desktops. Order a lifetime subscription for use on up to five devices at a whopping 70 percent off, just $39 from TNW Deals! Innori’s huge 22,400mAh portable power bank is a great choice for charging your devies on the go. With three outlets and plenty of power to spare, you can charge up all your gadgets wherever you go, all at once. And with that much capacity (an iPhone 6 battery is only 1,810 mAh), you can charge for a LONG time. It’s also durable and lightweight, so you can carry it in your purse, backpack or pocket with ease and without worry. Get this essential power bank at a special price of only $39.99 from TNW Deals, with free shipping across the US and UK! With eight courses spanning more than 70 hours of quality tutorials, The Learn to Code 2015 Course Bundle from Udemy is a must-have for budding programmers. Order it now for just $59 from TNW Deals, and get unlimited access to watch and learn at your own pace. 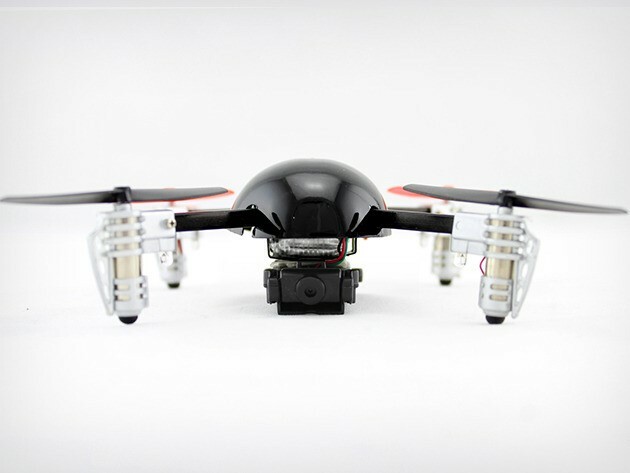 This compact quadrocopter is perfect for indoor and outdoor flights and complex aerial maneuvers, and can capture it all with its on-board camera! Simply charge up the drone via USB, pick up the remote control, and pilot the Extreme Micro Drone 2.0 as far as 400 feet away and perform 360-degree flips with ease. Order now from TNW Deals for just $74.99, including free international shipping! With this subscription to a collection of 95 premium themes (with more added each month), your site will beautifully showcase your style and draw your visitors in. Each one of these meticulously detailed themes are fully responsive so they’ll look great on desktops and mobile devices. They’re also optimized for maximum visibility on search engines, and include video instructions for setting up and customizing your theme to suit your needs. Get lifetime access to these premium themes for just $49 from TNW Deals today!